Earlier this week Sony revealed that its Xperia XZ and Xperia X Compact were incoming. With the Xperia X Compact just a few hours from its Sep. 25 roll-out, the Xperia XZ is now up for pre-order on Amazon. The Sony Xperia XZ is the firm's latest flagship and as such, retains that very typical -- but agreeable -- Sony design and form factor. 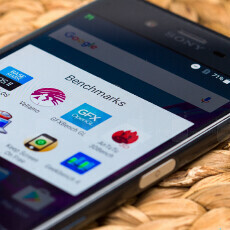 Under the hood, Sony has adorned the XZ with Qualcomm's high-end Snapdragon 820 chipset with Adreno 530 graphics, 3 gigs of RAM and 32 GB of expandable storage. Keeping the Xperia XZ running is a 2900 mAh battery that, as you may have caught in our Sony Xperia XZ Review, takes almost three hours to charge from nought to full. The Xperia XZ also gets a 5.2-inch FHD display coated with Gorilla Glass 4 and a 23-megapixel main camera with 5-axis video stabilization -- a first or a smartphone. For you selfie lovers, there's a 13-megapixel wide-angle lens on the front. The device arrives equipped with Android Marshmallow out of the box, but as we heard a short while back, the new Android 7.0 Nougat update shouldn't be too far behind the release. Amazon has the device up for pre-order at $699.99 in the blue in silver color variants while the black configuration, mysteriously, is listed at $717.59. Presumably, the latter is a technical glitch rather than an intended price hike. Will you be picking up the Sony Xperia XZ? Let us know in the comments. Another DOA phone... what the heck ya doin Sony? Why? The fact that you are not going to buy this phone doesn't mean is dead... IMO this is an excellent phone and the true successor of the Xperia Z5. Would love to try this phone out. Wish T-Mobile carried it so I could use one of my On-Demand upgrades. Yep, i think it's a good phone. Still waiting written n video review from other tech sites n youtube channel, because i can't rely on phonearena's reviews, just cause. If the screen was 5.5 or larger I would probably buy this to replace my Z5 Premium. I think I will wait for Lenovo Phab 2 Pro Tango phone.